I love a good accessory. Whether it be a cute phone case, a sticker for my bag or a hair slide, I am there with bows on! 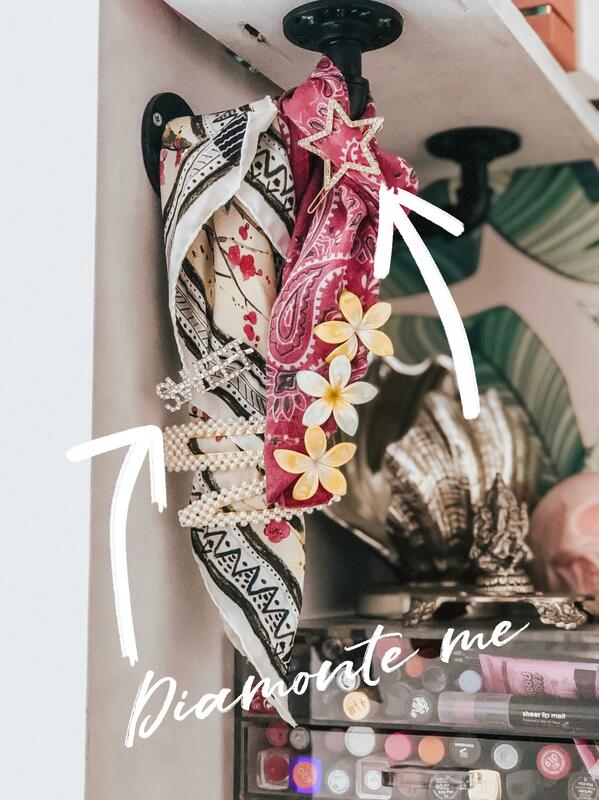 You can imagine then that this season I am particularly excited as jewellery and hair accessories are having some major fashion moments. If you are a bit keen on the cuter things in life like me, strap in as I run down the trends for this season that you will not want to miss. I remember in the late eighties and early nineties ear piercings were a big deal. I was sadly too young to experiment at that stage but thankfully it’s a trend that has come back around and has been on a slower build up for about a year. Whether you have one piercing or several, now is the time to layer up, mix your metals and show off your ears. If you have multiple piercings, hoops are a great way to enhance that and have some fun too. 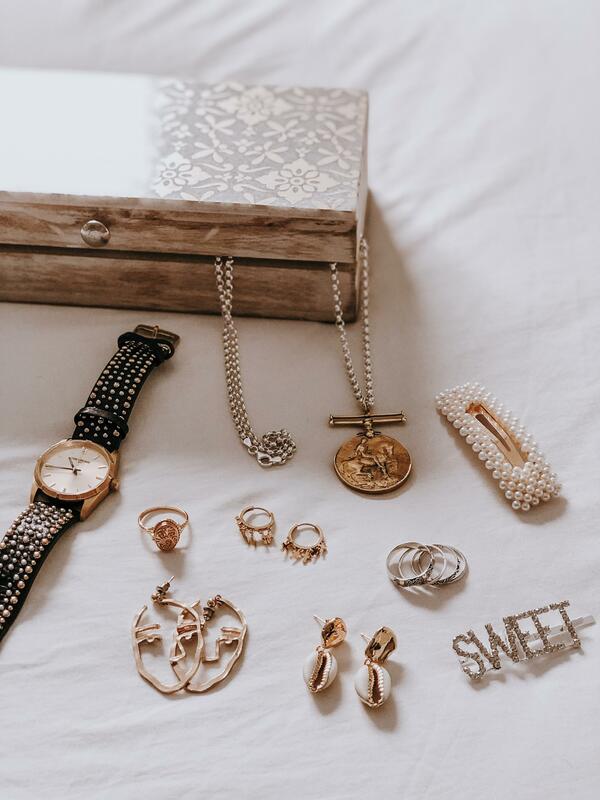 I prefer to wear sterling silver or gold plated earrings but there are loads of affordable options available now and here are some of my favorites. If you love hoops with a difference, Astrid and Miyu have some great options. You can go bold with these cool cross hoops, these star charm ones or try these mystic cross earrings all available in 3 different colours. 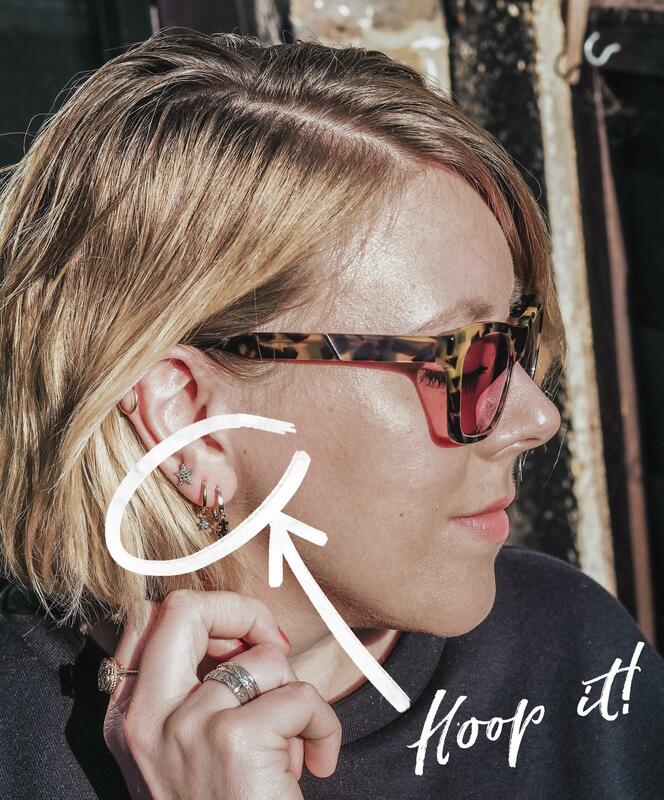 If you only have one piercing but want to layer up, the brand also has some cool ear cuffs that are ideal for nights out and great for a real, statement look. I have the Mystic star cuff in gold and rose gold and love wearing both of them together. As well as rocking some conventional hoops, I do love more statement earrings too. 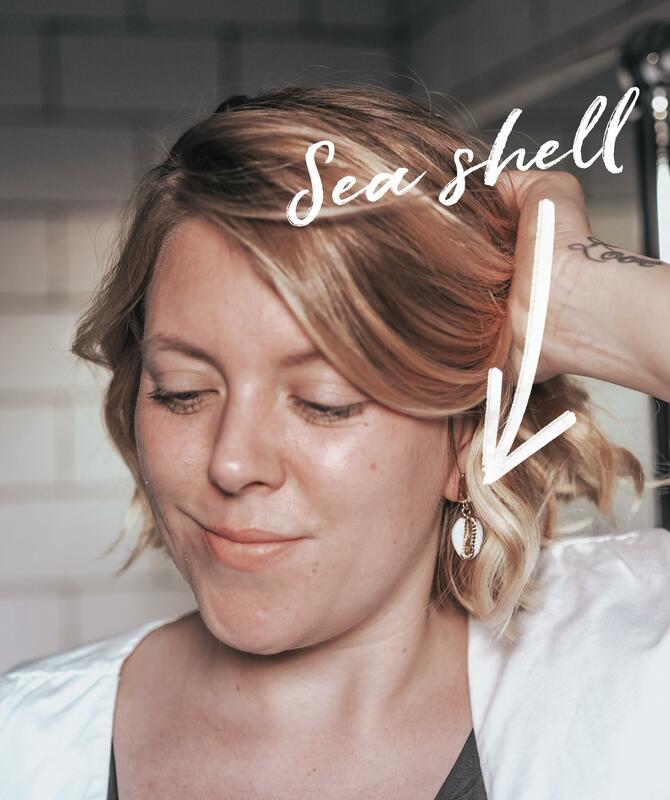 Shell earrings are huge this season and I bought these gorgeous ones from Most Coveted on Etsy. I love the white and gold contrast and I have collaborated with the brand to offer all my readers 10% off with code: Bunnipunch(ending 9th April 2019). 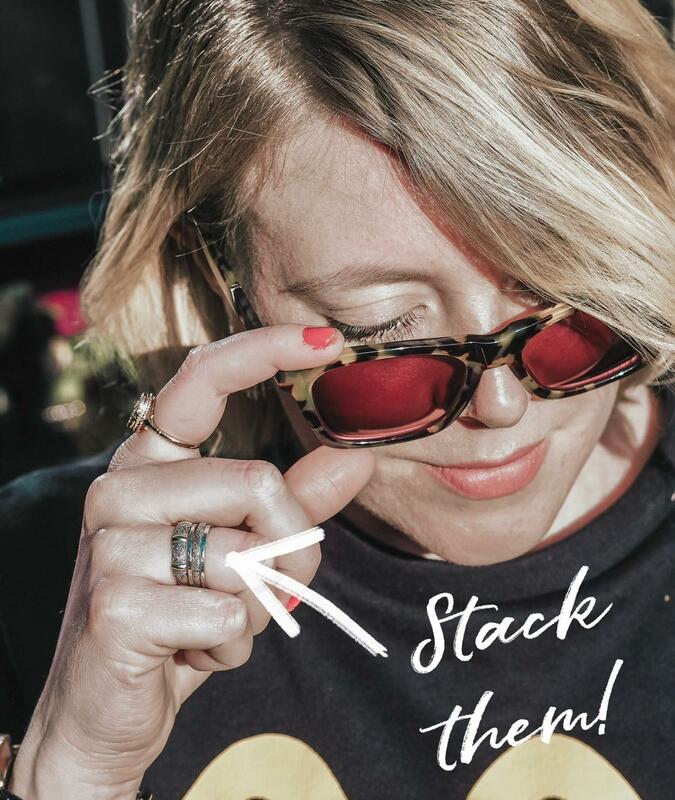 I love wearing rings and stacking ones are great for this season. I was gifted these from Aquila Jewellery and I really adore their cool boho style. They come in sterling silver which is great for me and they have tons of different options for you to rock. Hair slides are in this year and they are taking over Instagram. Among these gems, Diamonte ones are huge and so much fun. I love the slogan ones which you can find on eBay for a good price but there are star and heart shape ones too which are super cute. 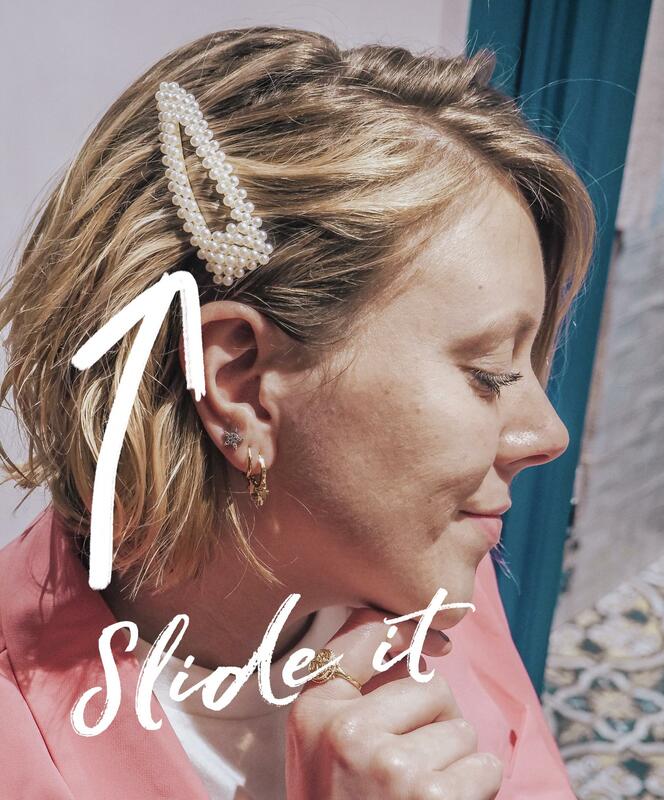 If Diamontes aren’t your thing, these oversized pearl hair slides are bang-on-trend too. Available on eBay or Etsy, these clips are great for keeping your hair tidy and look super pretty!